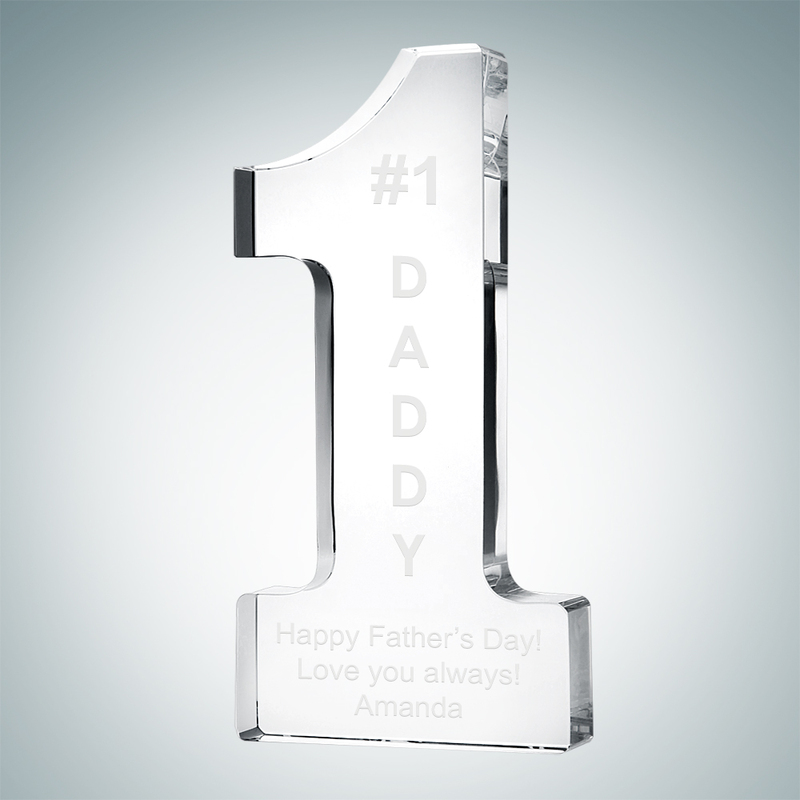 The beautiful Optic Crystal Beveled Globe Block offers a large engraving area for your logo/message. Available in three sizes; 4-1/2″, 5-1/4″ and 6″ height.. 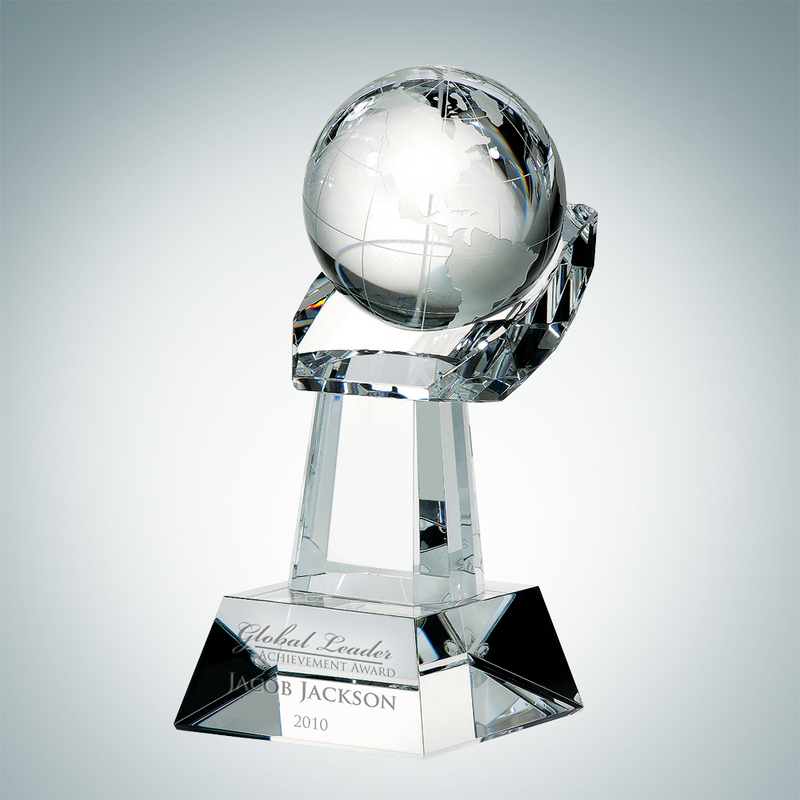 The World Globe In Crystal Hand Award is the ultimate solution to perfect recognition. 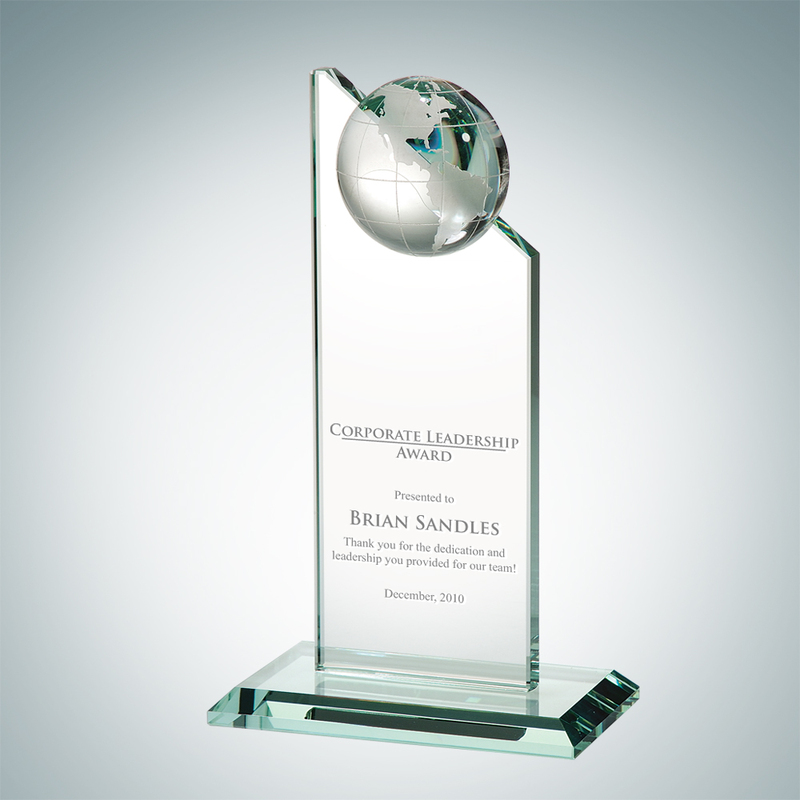 This bold award comes in three sizes, and boasts a cut crystal hand holding a perfectly etched globe. 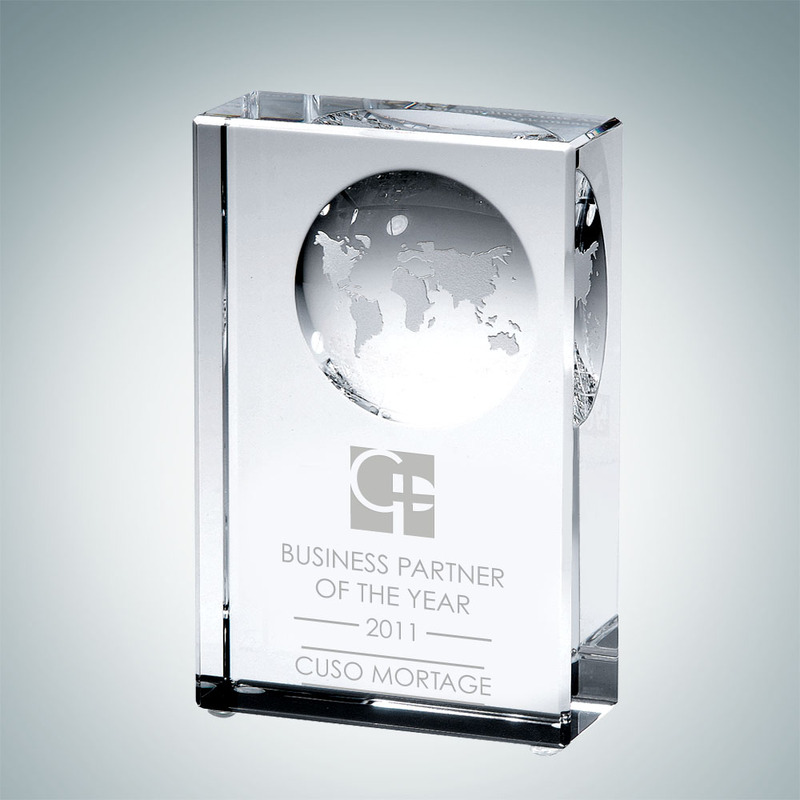 Award includes a foamed gift box and up to four lines of engraving..
Give more flair and excitement to your corporate event with this Jade Glass 1/2″ thick Globe Pinnacle award. This stunning World Globe Crystal Pinnacle has a pinnacle shaped crystal piece with a half-globe attached to the top, This award comes in three sizes.. 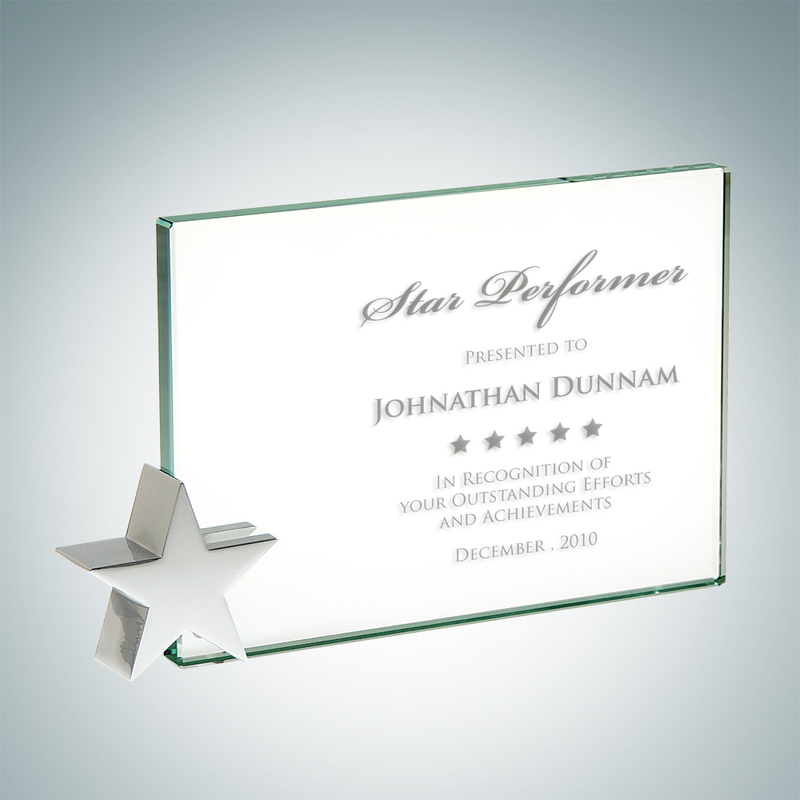 This is the 1/2″ thick Jade Glass Achievement Award with Chrome Star. All of our jade glass awards are hand cut and polished to perfection. 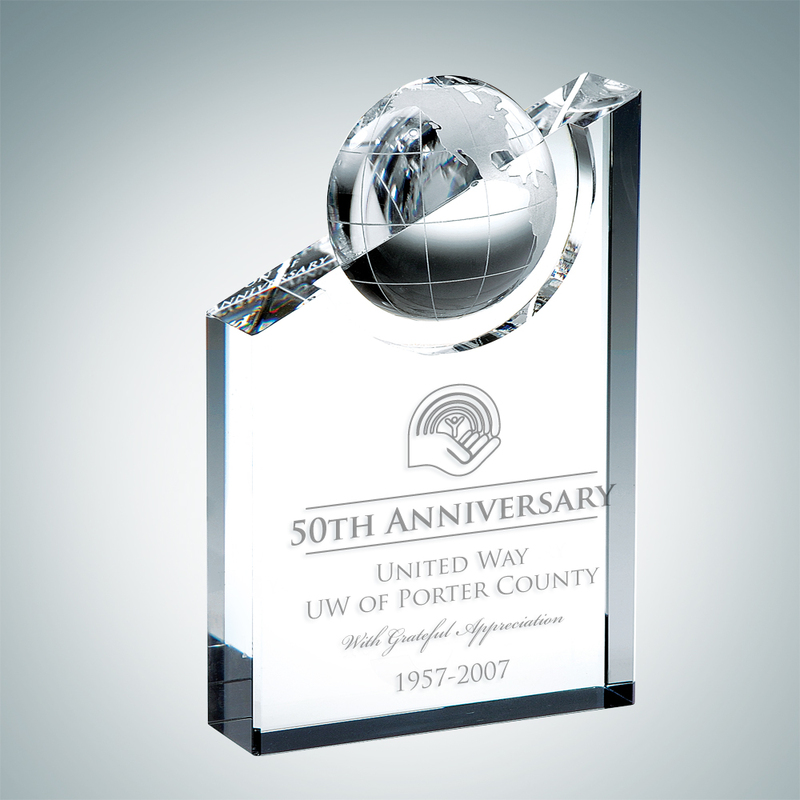 Great for corporate and recognition events, jade glass awards can be personalized with your logo and text. Available in three sizes; 4″, 5″ and 6″ height.. The Crystal Pinnacle Globe Award represents the top of the world in recognition and appreciation. 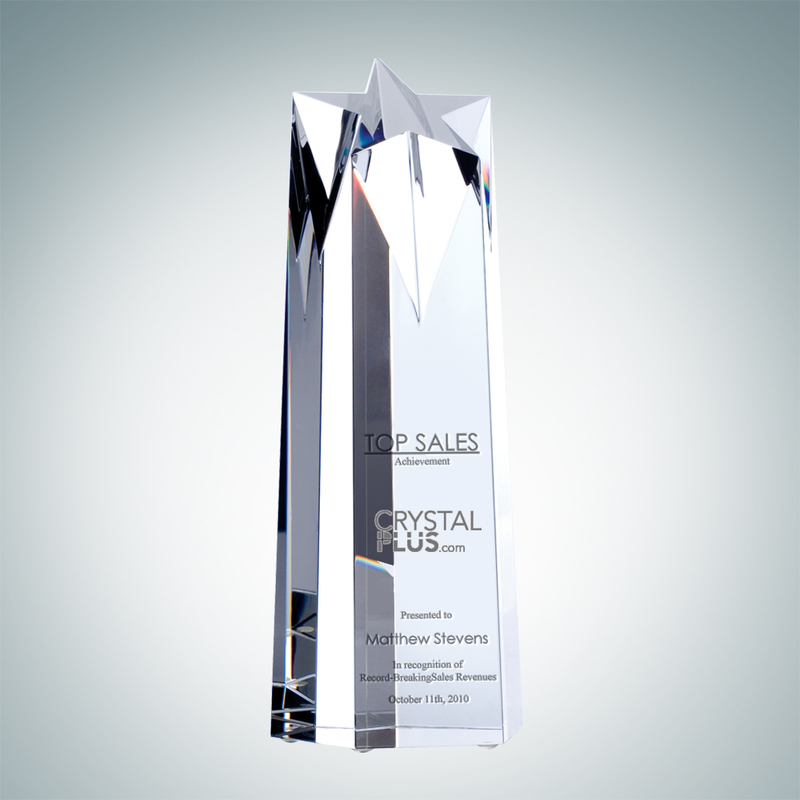 Reward your employees with this beautiful crystal award. Available in three sizes; 6″, 7″ and 9″ height..